Despite being dead for 6 minutes, in a coma for 6 days, breaking 11 bones and being told he may never walk again, Hal Elrod defied the logic of doctors and the temptations to be a victim and is now one of the highest rated keynote speakers in America, Hal is the #1 best-selling author of one of the highest rated books in the world, The Miracle Morning. Learn how Hal bounced back to prove that ALL of us are capable of overcoming extraordinary adversity to create extraordinary results in our personal and professional lives. Listen Now! Nobody is perfect. And neither are our fitness routine. In this episode I’ll give you my "I wish I'd known sooner" secrets for having a better, more effective and enjoyable workout. So you don't have to learn the hard way! Also, nutrition and healthy living secrets to help you be more healthier, leaner and fit. Listen Now! Today's guest is Coach Christopher Sommer, former US national team gymnastics coach and creator of Gymnastic Bodies. I've been testing out his training system for close to two years now and I credit it for helping me work around my neck injury in October 2014. I've been in the fitness industry for over 17 years and there are very few people that I've learned from that I can say revolutionized the way I approach working out. 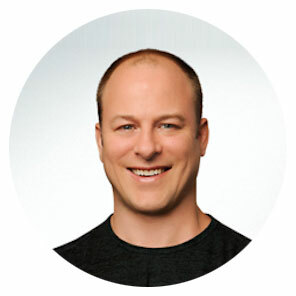 Coach Christopher Sommer and his Gymnastic Bodies system is one of them. Listen to Coach Sommer talk about how to structure your workouts to increase your strength, mobility and longevity with the secrets of gymnastic strength training. Not everyone will experience the life-changing tides of a hurricane, but everyone will go through storms in their life-- and it's what we learn along the way that shapes who we become in the wake of adversity. In this episode, I’ll share what I learned from experiencing Hurricane Matthew and especially Hurricane Andrew. Listen Now!